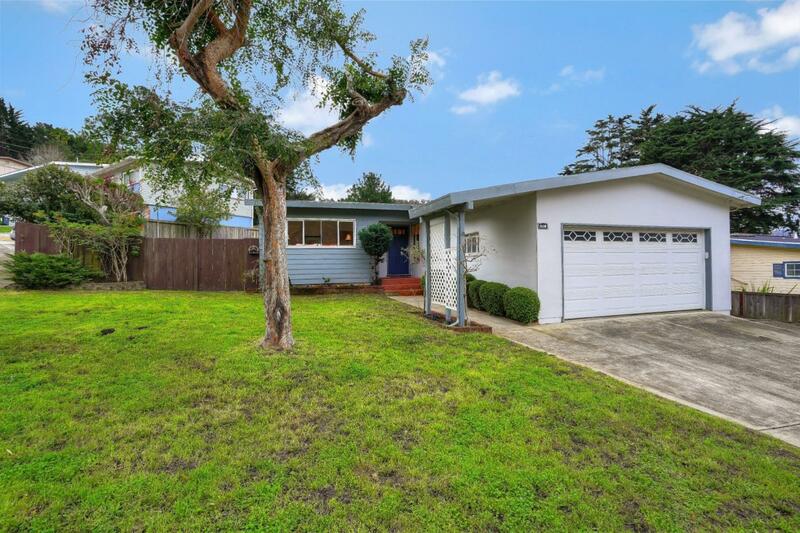 Welcome to this desirable three bedroom, two bathroom single story rancher in Linda Mar. The home is near walking/biking trails and minutes to the beach and shopping. It is approximately 1,110 square feet and sits on a large corner lot of approximately 6,500 square feet. The entry leads to a light filled and spacious living room that overlooks the large backyard which is a great space to entertain, garden and just relax. There is an eat-in kitchen with a gas stove, refrigerator and dishwasher. The master bedroom features a bathroom and the two other bedrooms have newly installed carpeting. The home offers hardwood floors in the living room, entry and master bedroom. Additional features include a two-car garage, a double gate from the front yard to the side yard with ample space and fresh paint throughout. Add your personal touches along the way. This is a must see!